Hey Sisters… if you are like us, you love to have to a little something something adorning your wrists…or hanging from your ears…or laid around your neck, yes? A little sparkle, or statement jewelry can bring a whole new life to an outfit. Take it from day wear to a night out. Pretty much, it’s a great way to express your style and add polish to your look. We are pretty stoked about our latest giveaway! 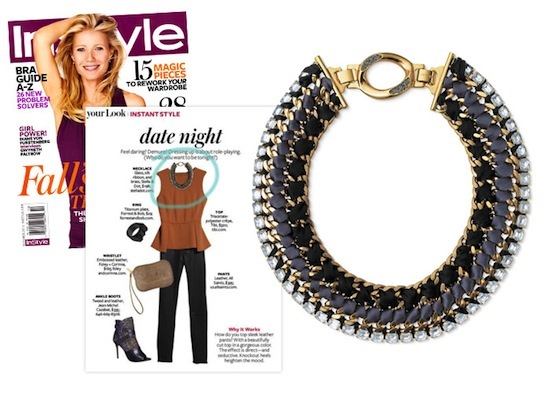 Stella and Dot has been garnering our attention for their plethora of fabulous jewelry pieces. 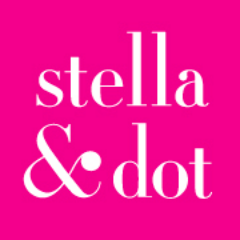 From small beginnings in 2003, Stella and Dot has grown to grace celebrities, be featured in magazines, such as Elle, InStyle and Vogue…and yet still be accessible to regular people like you and me! That’s kinda a big deal. Fun, quirky, edgy, dainty, simple….you would be hard pressed to feel overlooked when treating yourself to a browse, either at a trunk show or online! I have been on the prowl for a spiked bracelet for months..actually, since i wrote a post on the spike/stud trend. I came across a couple that looked too edgy or too goth. They were definite no-go’s. 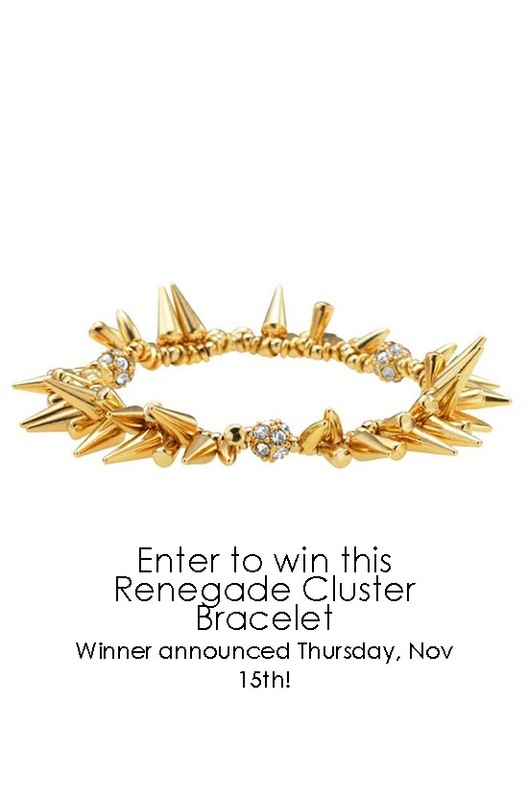 Then, to my delight, i happened upon the Renegade Cluster Bracelet through a Stella and Dot independent stylist. LOVE at first sight…i even named it: Spike. Duh… But truly, i love this bracelet..edgy yet still classy. Just my style!! (or i’d like to think!). 1. Visit Tracy’s Stella and Dot site. 2. Leave a comment below with your name and email. Entries must be posted on the site by next Wednesday, November 14, 2012 at 8:00 pm PST. We will announce the winner, chosen at random on Thursday, November 15, 2012. Good luck Sisters! !